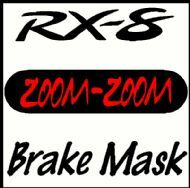 These Mazda RX-8 brake masks / decals for the third brake light of your car will give stunning results when applied, especially at night. They are made from high quality vinyl film and are computer die cut on a high end Roland vinyl cutter. Maybe you want to add your own design to your Mazda RX-8 brake mask?, contact us with any ideas you have. 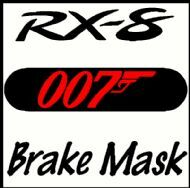 These decals are fine to be applied to the third brake light, as the law in most countries say that you must have two working brake lights that have not been modified.